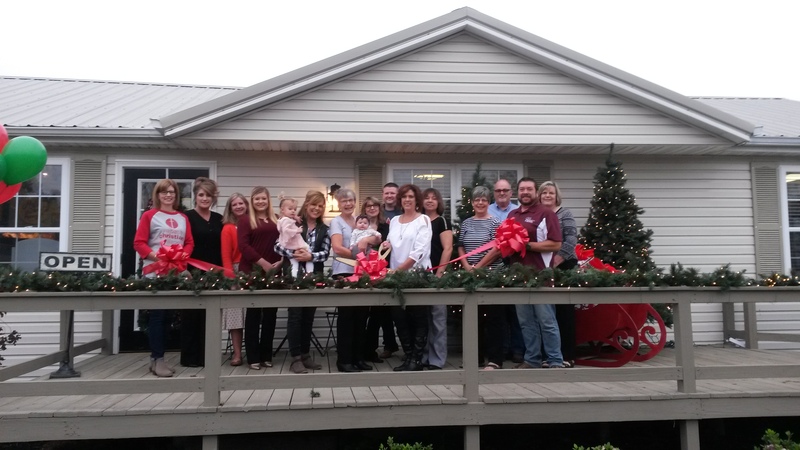 The Carmi Chamber of Commerce held a Ribbon Cutting on November 3, 2017 for Gracie Mae’s Flowers & Gifts, located at 1626 West Main Street in Carmi. Gracie Mae’s Flowers & Gifts is a full-service florist. In addition, they will offer home décor, gifts, jewelry, purses and repurposed furniture among other items. “I urge the community to visit Gracie Mae’s Flowers & Gifts and see what this new business has to offer our community. On behalf of the Carmi Chamber of Commerce, I wish them much success,” noted Chamber Executive Director Holly Healy.